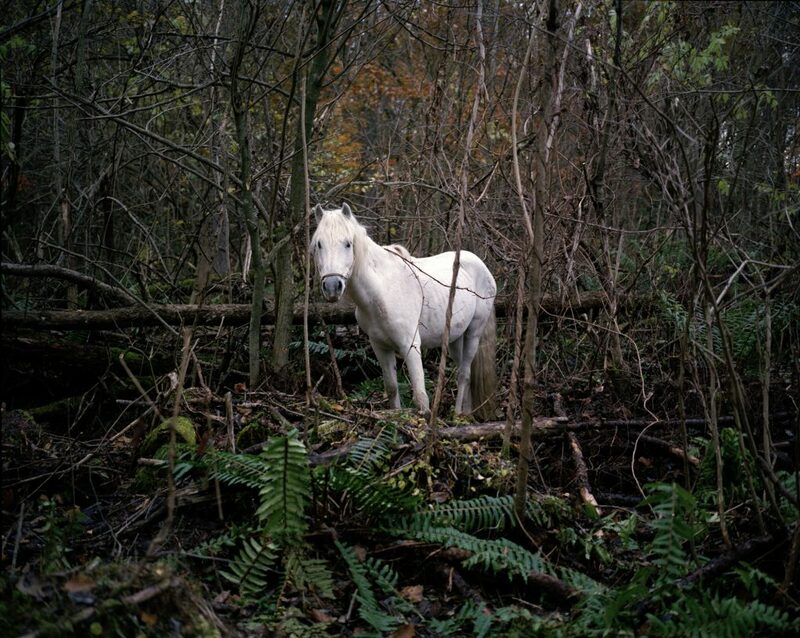 In Japanese art, the horse appears in many different forms taken from Chinese and Japanese myths and legends. One of the most famous legends is the story of the Chinese sennin Chokaro. This immortal being owns a horse that he can magically conjure up when necessary from a gourd. This horse carries him far and wide. The Japanese expression hyotan kara koma, “a horse in the gourd,” refers to this particular story. The expression reminds us that in life the unexpected can happen. For Charlotte Dumas, this principle is of utmost importance. Nature is, ultimately, fickle and unpredictable. Charlotte Dumas has compiled an exhibition for Japan Museum SieboldHuis that centers on certain basic elements of life, particularly vulnerability and resilience. Using five unusual objects (the gourd, a gastrolith or stomach stone, a rocking horse, an obi and a gold-plated wooden figure of a horse) she brings myth, imagination and the transient nature of life together. These objects make the past tangible and instinctively relate to one another. They are further contextualized with historic works, photographs and prints from a wide variety of collections, as well as her own photographic works and a new film. The leading roles in this film are the horses from the small, southwestern island of Yonaguni. Although they roam around freely, they are not able to leave this remote and rugged island. Since 2016, Dumas has been observing Yuzu, a young girl from Okinawa, and her horse Urara. 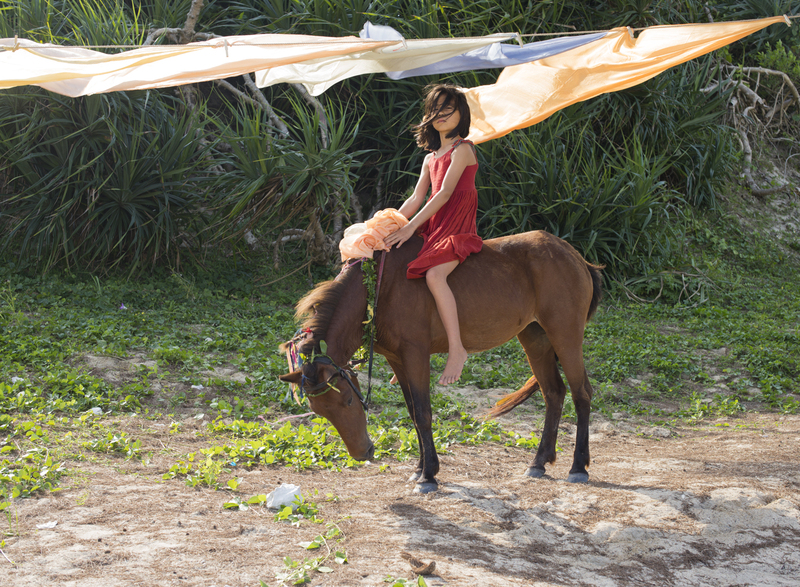 Together they play an important role in the film’s narrative as Yuzu’s world and that of the wild horses come together in a most unusual manner. Just as in the film, the Japanese girl in this publication is almost unrecognizable in several photos; she is either hidden behind a swath of indigo cloth or she is hanging over her horse Urara. In a way this book is the sixth object in the exhibition. In it, Dumas guides the reader on an inspiring journey created through her unique vision and insights. It has been assembled with passion and great care just as the belly of the Japanese horse has been lovingly wrapped in the handwoven blue-green obi.